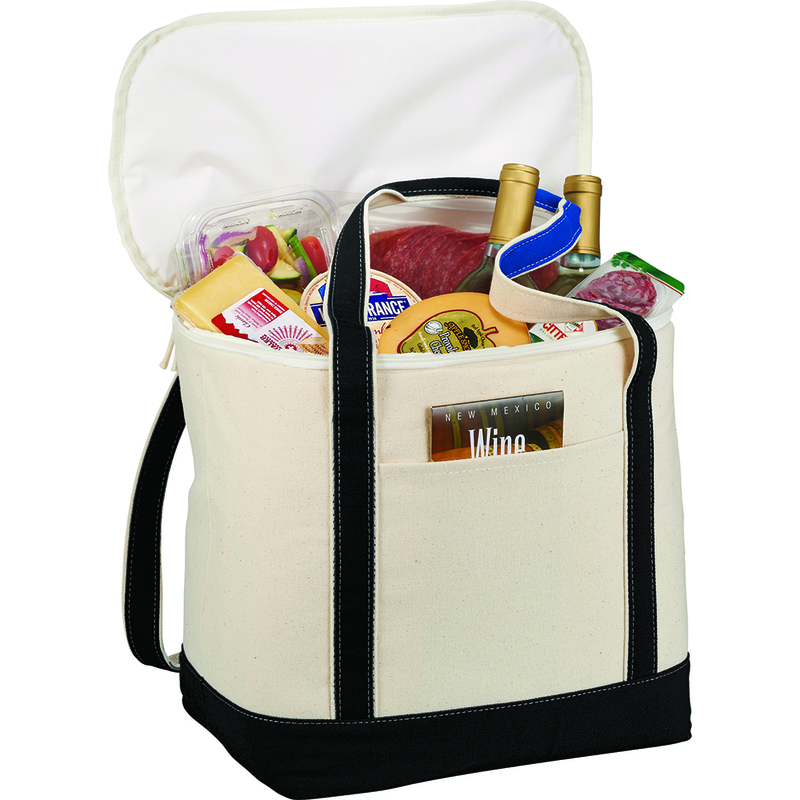 12oz Cotton canvas cooler with insulated PEVA lining. Front pocket for additional snacks. Main compartment capacity is approximately 23 litres.